Valerie Cherneski is a certified executive coach, facilitator and speaker who uses her background in law and psychology to motivate change and development. As the Founder of Cherneski Coaching, Valerie focuses her practice on highly driven and dedicated corporate professionals and attorneys, and assists them on a variety of issues to streamline their lives, transition well, and further build upon their success. As an attorney and industrial relations specialist, Valerie acts as an experienced sounding board and advisor. Valerie serves clients across the United States and Canada. Valerie’s passion for supporting professionals at the intersection of career, family, and self shines through in her coaching work. She is intrigued by the decision making processes on integrating professional careers with the complexities of parenting and managing full and high pressure lives. She relies on a strengths based approach, believing that continued success and advancement requires building upon one’s strengths, and capitalizing on opportunities at every turn. Valerie ensures a strong foundation in her clients through teaching the cornerstones of success – awareness of values and strengths, strong health and habits, and ongoing planning and accountability. As someone who has successfully navigated through several, demanding transitions, Valerie works with her clients to turn challenges into opportunities for growth and excellence. And in this process, she balances a direct, results-oriented approach with fun and complete engagement with her clients. As an attorney, Valerie worked at two, highly respected law firms. She counseled executives of major corporate clients on various matters relating to complex litigation suits, as well as sound management practices, improved relationships with employees, and retention measures to be taken to prevent the loss of top talent. Valerie also gained corporate experience as an industrial relations specialist at a large corporation, managing employees and developing and drafting policies for workplace management issues. 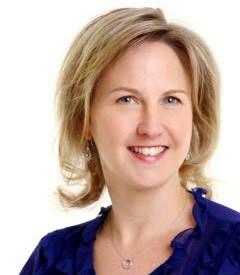 Valerie is well positioned in the marketplace as an Executive Coach and her work has been featured in Inc.com, the Globe and Mail, and as an expert, return-to-work coach with iRelaunch, and as an authority on career matters in podcast interviews. Click here to download a PDF of Valerie’s bio.